If you were designing an advert to encourage university students to drink less alcohol, which wording do you think would work better? “Most university students drink too much, with dire consequences for their future health”. “University students are healthier than you think, most have fewer than four drinks when they go out”. A growing body of research on the misperception of norms suggests the second type of statement may work better. University students consistently overestimate how much their peers drink, and importantly, it’s this misperception that correlates with how much they choose to drink themselves. “In point of fact, the norm among college students is to drink moderately if at all. And promoting this good news is an essential element of the health promotion strategy known as the social norms approach”. From an article in The Scientist magazine on the science of encouraging healthy behaviour. 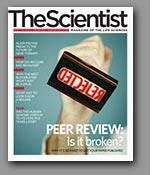 (Note, to celebrate their relaunch, all 20 years of content is currently accessible for free at The Scientist website).